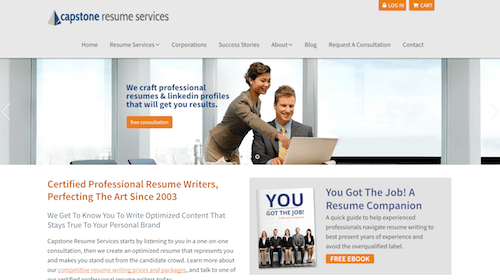 CapstoneResumes.com claims that have been around since 2003, perfecting the art of resume writing. Their service starts by listening to you in a one-on-one conversation and then they promise to create a resume that makes you stand out. Prices seem fair and affordable, even for students. They present their customers different packages for entry, professional, and executive levels. Besides resumes, you can also order cover letters, LinkedIn profiles, and many others. The fact that they offer consultations is unique and a great addition for the resume writing services market. Not everyone does this although it’s important from some point of views. A detailed audit of the company is coming up. Meanwhile, check out ratings to find out the top resume companies.